The reds in this necklace are truly a gorgeous chilli red. 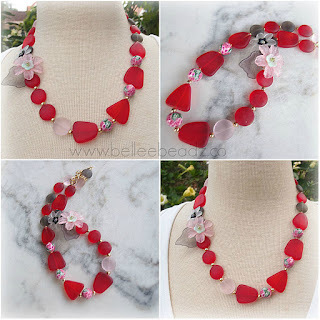 Matte red, gunmetal and baby pink sea glass in different shapes, round polymer clay beads and a side focal of lucite flowers. Necklace measures approx 20"